Legal duties and standards of practice related to violence in the workplace have evolved rapidly and substantially over the past twenty years. In many countries around the world, all organizations—public, private, or non-governmental—are expected to take reasonable steps to prevent and respond to violence in the workplace. In this webinar, Dr. Hart will begin with a quick review of the nature and prevalence of workplace violence and the sources of law that place duties on workplaces to deal with the problem. 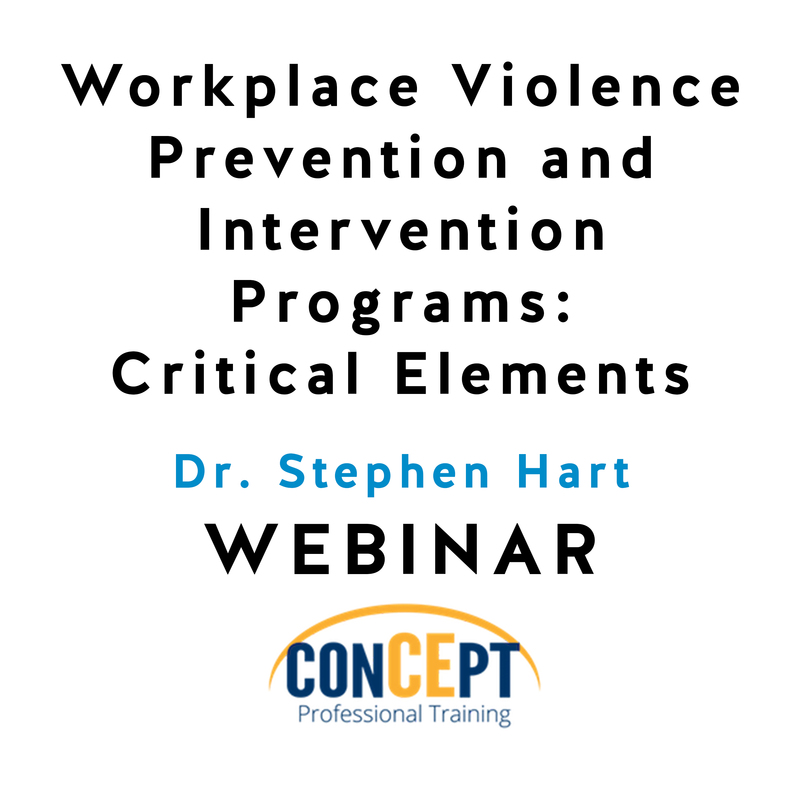 He will then discuss current standards of practice relevant to workplace violence prevention and intervention, including ISO and ANSI standards. Finally, he will present an integrated framework comprising eight essential elements, one that can be used to audit an organization’s strengths and vulnerabilities and determine priorities for program improvement.